I have been hard on Larry Edelson this year. I have pointed out that he has been wrong in his bearish view on gold and in fact, had you taken his advice you would have missed most of gold’s gains this summer. Turns out, Larry wasn’t wrong, just early. I owe him an apology. I often state that technical analysis doesn’t work very well in a manipulated market. Gold IS a manipulated market. Without The Gold Cartel’s planned raids on gold, the price would be substantially higher than it is today. They have deep pockets and they have the so-called “regulators” in their hip pocket. Twice, in the last five months, they have staged successful (short-term) raids on gold and especially on silver. Still, I hold fast on my view that by year’s end, or shortly thereafter, gold will hit a new all-time high, probably over $2,000 and silver will make an assault on $50 once again.Let’s not lose sight of why gold dropped some $300 since September 5th. It all started with a general market panic and the hedge fund’s reaction to the drop in the stock market. It had been a tough year for most of the hedge funds and many of them climbed aboard gold’s bandwagon. Hedge funds rarely buy physical gold. Their preferred vehicle is the gold ETF (GLD). When the stock markets started to tank, late this summer, many of the hedge funds found themselves losing in most of their positions and, as in 2008, they had to cover redemptions by raising capital by selling their winners – in this case GOLD.The third quarter ends in October and the hedge funds knew there would be redemptions because of their poor performance, so they raised the most capital possible by selling gold and mining shares.As I have previously pointed out, a key factor in gold’s fall was when the Chicago Mercantile Exchange (CME group) twice raised margin requirements for gold future trading since the fall was underway. Underfunded traders had to raise cash to meet margin calls that were a direct result of already falling prices AND HIGHER MARGIN REQUIREMENTS. The way they raise cash is by selling assets – gold and silver. (An article in the WSJ notes that billionaire John Paulson and his funds may be in trouble, and that he is selling some of his items to raise money. Paulson had a huge position in gold, and it is probable that the threat of Paulson selling some of his gold is one of the reasons for gold’s recent weakness. )One can never know for sure, but I am of a mind that we have seen the bottom in this so-called “correction.” Rest assured that the fall in price of gold and silver was NOT a result of a slow-down in the purchase of physical metal. It was caused by over-leveraged, under-capitalized hedge funds. 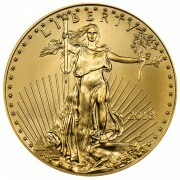 The “paper” gold market is leveraged by up to 100 times, according to some sources. The leverage takes place in the futures market and it helps push prices UP. It also pulls prices DOWN when the de-leveraging process takes hold. If my target of $2,000 gold is correct, there is a 25% UPSIDE in gold over the next three or four months. The downside is no more than five or six percent. I’ll take those odds anytime. 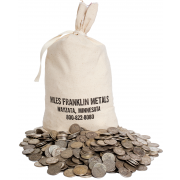 Since prices have come down, in the last three weeks, our business at Miles Franklin is as strong as it has ever been. Our wholesaler’s supplies of gold and especially silver haven’t been this depleted since late 2008. 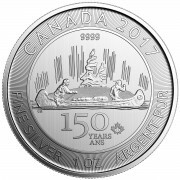 Premiums have been rising and there are delays of at least three weeks on most forms of silver. 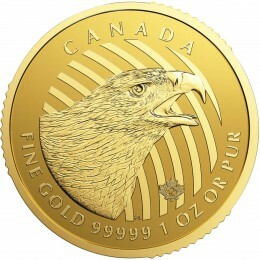 It is the demand for physical gold and especially silver that is providing a floor on the price of the metals. Take advantage of the manufactured correction and lock in an order now, while the price is so attractive. One last comment – I believe, along with Ed Steer and Ted Butler, that there is a good chance that the CFTC allowed the blatant assault on gold and silver by the bullion banks so that they could unwind as many of their short positions as possible BEFORE they institute some form of “position limits” in October. If I am correct, gold and silver will be on the move once again as I head down to Aventura for the winter. Andy and his family plan to move into our home when we leave for the winter. They have been renting for the past three years and now their landlord has decided to sell their condo. They are forced to move. They found a house that they like and the bank has accepted their bid. It has been on the market for a couple of years and is very underpriced due to the soft market conditions and water damage caused by a leaky roof. The repair will take a few months and it worked out well that my house is available to them while they await the extensive repairs and remodeling on their new home. Andy will be gone today. He is off to the Casey Conference where he will participate in a panel discussion on gold and silver. I expect that the conference will be upbeat and the mood will be bullish!